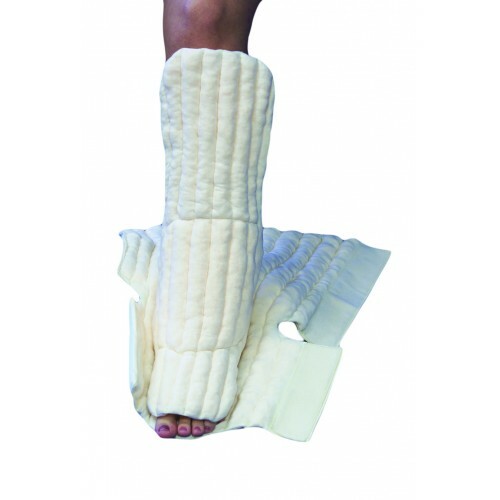 The unique adjustable design of a Foot & Lower Leg Wrap allows for easy donning and is adjustable to the patient's tolerance and to accomodate for increases or reductions in swelling. This garment fits like a boot, extending to the base of the knee with a full-length closure. It has an inner anterior tibialis pad to provide protection at the ankle. Made of Organic Cotton & Spandex. 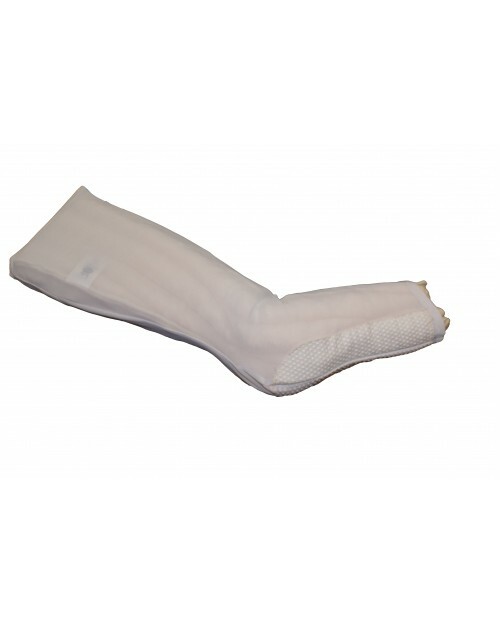 Additionally, Foot & Lower Leg Wrap JoViJackets are available in Nylon & Spandex Powernet. 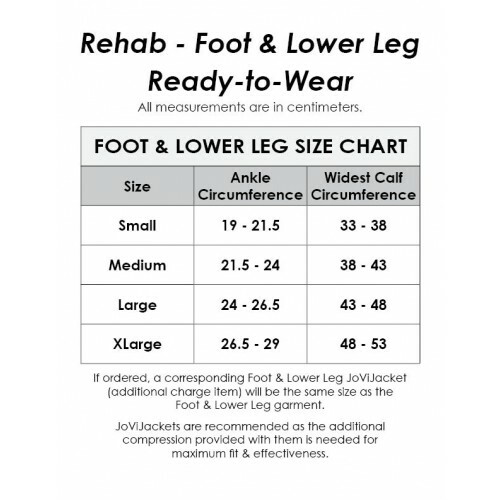 JoviJackets are highly recommended to complete this two-part garment system - the additional compression is needed for maximum fit & effectiveness.